Maybe there will be some surprises at next week’s Google event. At this rate, however, we’re not entirely optimistic at the prospect. Just as the Pixel 3 got the full hands-on treatment in Hong Kong, a new contender has emerged. 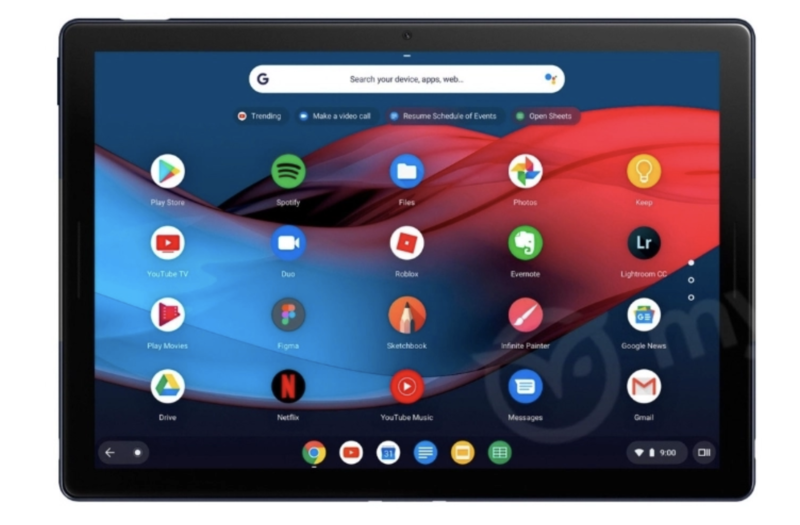 Like a number of recent leaks, these new renders of the Pixel Slate come courtesy of My Smart Home Hub. As previous leaks have suggested, the device appears to be a tablet companion piece to the company’s well-designed Pixel Book. That is to say, it’s a premium take on the Chrome OS hardware market. While the Pixel Book is a convertible via a swiveling keyboard, the Slate does dual-duty by way of a detachable keyboard case. The case features round, typewriter-style keys, which look to be a bit more substantial than those found on other detachables at first glance. There’s also a built-in trackpad, which puts it ahead of Samsung’s most recent Galaxy Tab offering. The top also appears to have a crease for folding, suggesting that it will prop the slate up when in laptop mode. The system appears to work with the Pixel Book Pen, as well. Not much more in the way of information here, though there does appear to be front- and rear-facing cameras, front-facing speakers and a USB-C port (take that, Microsoft Surface). More information will no doubt arrive the morning of October 9. Patience, friends.